ETL523 What is digital citizenship? So a thing happened yesterday and I got involved–sort of, as much as I do with anything. It’s the best example I can provide for my understanding of, and participation in digital citizenship. It’s where I’m at right now. 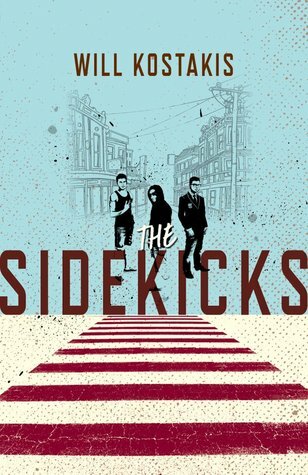 I read Will Kostakis’s new young adult novel, The Sidekicks, in December. Long story short: It was in draft form. I sent him a few emails with suggestions and love (for it), and then my friend and former colleague Megan asked me to review it for her blog. I did that. 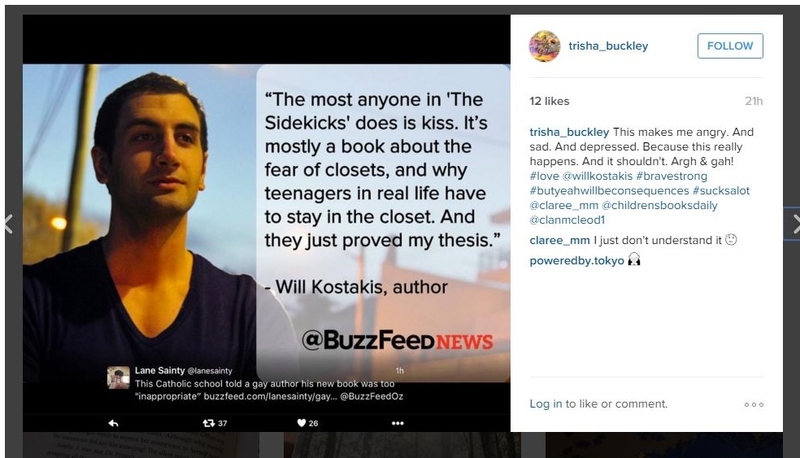 On the day The Sidekicks was released, February 29, Kostakis came out on his own blog. I quietly cheered him on. I shared his news with a couple of friends through emails, but didn’t do or say anything publicly. I was even hesitant to share his news privately. Who was I to tell people? Then I decided it was okay because Will posted on his blog. You can’t get more public than that. 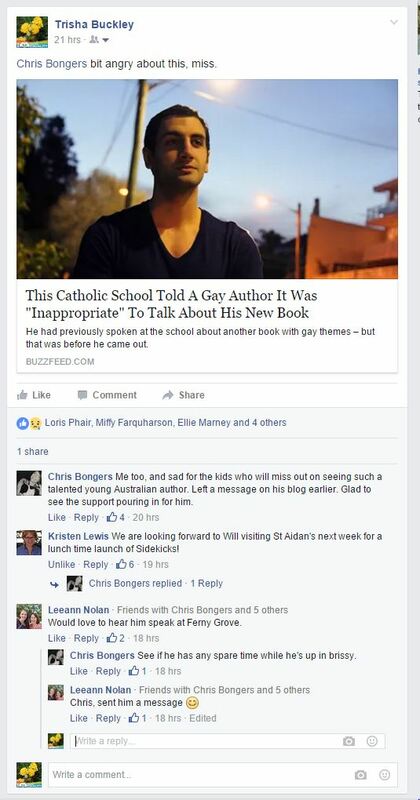 Then, yesterday, on the day of his Sydney launch, this happened. Here are the two emails on his blog. And I got angry. I spent most of the afternoon, posting, sharing, and commenting (Richardson, 2008). I felt powerful. I felt engaged. I felt connected. But the whole time I was mindful. I thought about my language. I re-read before I published. I wanted to remain respectful, and not over step any mark, but I did want my voice to be heard. I wanted to show my support. I wanted to reach out, and hopefully be part of something bigger, but I was also conscious that these posts would always be there, and reflect my ideology. Plus, I needed to be sensitive to Will’s situation, and cautious for myself (Bailey, 2011). I want to be someone people trust (Richardson, 2008). In the matter of YA novels, I want to be a reliable and knowledgeable expert, someone who people can turn to. I need to protect my brand. And then I sat back to watch the fall out. It’s a funny thing to say ‘sat back’. Literally, I did no such thing. I was everywhere I could be. Virtually I mean. Of course that’s where I was. I read lots of articles (I would link to more, but they all say virtually the same thing). 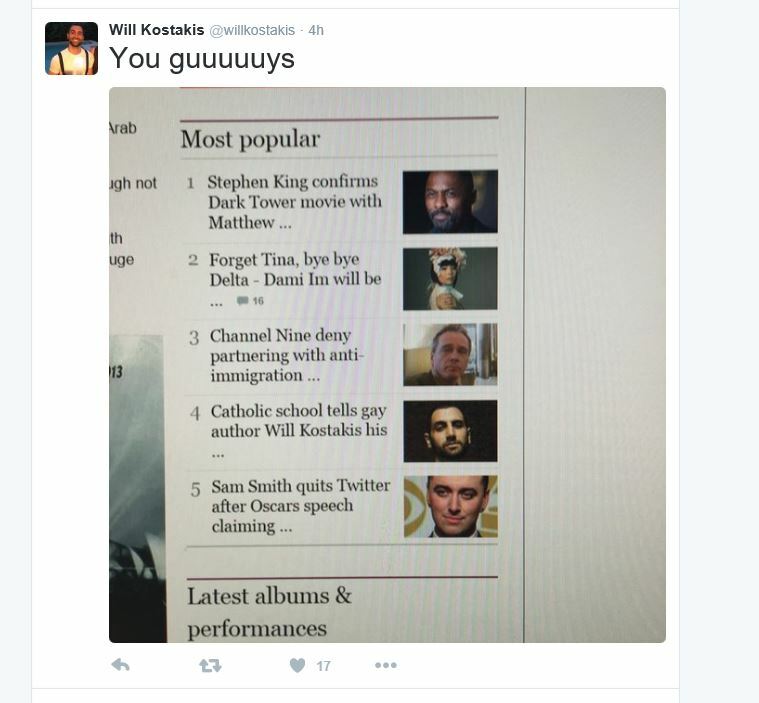 I went to Will’s twitter feed for his view. I saw what people I trusted had said. I conferred. I contemplated. I transitioned from my PC to my iPad, and then to my phone when I left the house. 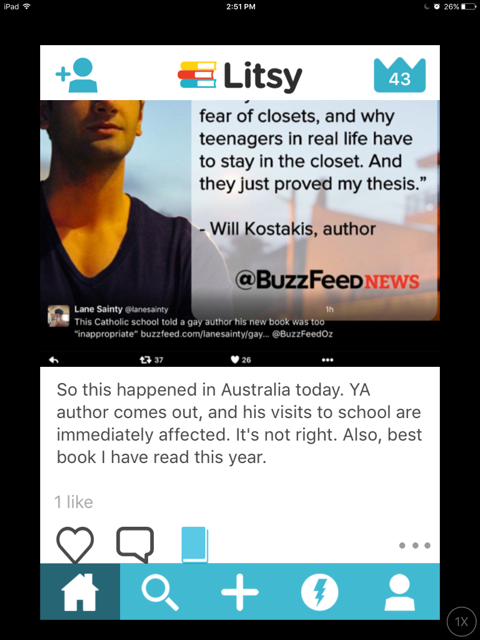 I scouted many different social networks, and news blogs, and took note of comments. By the end of the day, I felt vindicated. Will received so much support. He even went global. In terms of our relatively small community, we were almost viral (for about 4 hours). Digital citizenship means participation. It means connection. And it fits seamlessly into our life, without any effort. While I was composing these posts and scanning my twitter feed I was reading an article by Richardson, and organising memberships for CBCA. I cooked dinner, and sat in front of My Kitchen Rules, all the while texting and scanning. My online involvement is pervasive and immersive. And while I sometimes think no one even notices when I put myself out there, I still have to realise my interactions never disappear. When I look at my entire response, it’s actually quite small. But it meant something to me. I am part of it. This doesn’t have much to do with teaching and learning, I concede. But I am not now in a school. My only connection to students currently is my reputation with educators who might read my reviews and use them to assist readers with book choices. But that doesn’t mean my online life has any less value than others who are. My experience more likely reflects how students are immersing themselves online (Wheeler, 2015). Oh, they probably aren’t being activists for diversity in literature, or campaigning for climate change. They are more likely ‘shipping the latest OTP at Archive of our own, or sharing fan art on Tumblr, or creating playlists on Spotify. The point is they are, like me, finding like-minded individuals who share the same passions. And it’s not anything unusual to them; it’s comfortable, it’s easy, and it’s meaningful. So for now, I will participate in my online communities as best as I can. I will be kind and tolerant. I will think before I post. I will make a difference. Ribble, Mike. (2011). Digital citizenship in schools. International Society for Technology in Education. Wheeler, S. (2015). Digital Learning Futures: Mind the Gap! YouTube: INTED 2015.
please note that the people whose names appear on the facebook post gave their permission for their names to be included. 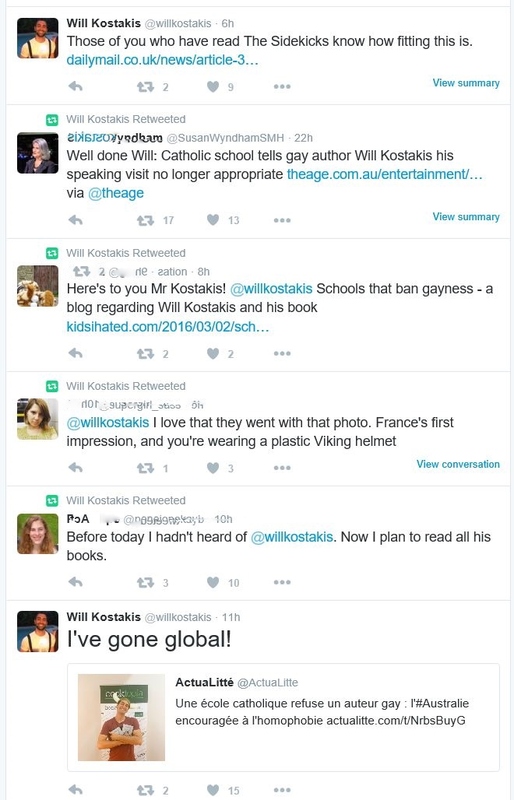 The post was also shown to Will Kostakis. I love this Trish – an excellent example of what good digital citizenship looks like and the thinking that goes on behind it. 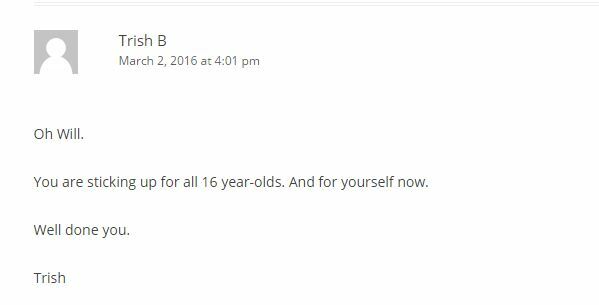 Trish, I really enjoyed your post. You really hit the mark for me with your personal view and the work behind what goes into a thoughtful digital citizen. 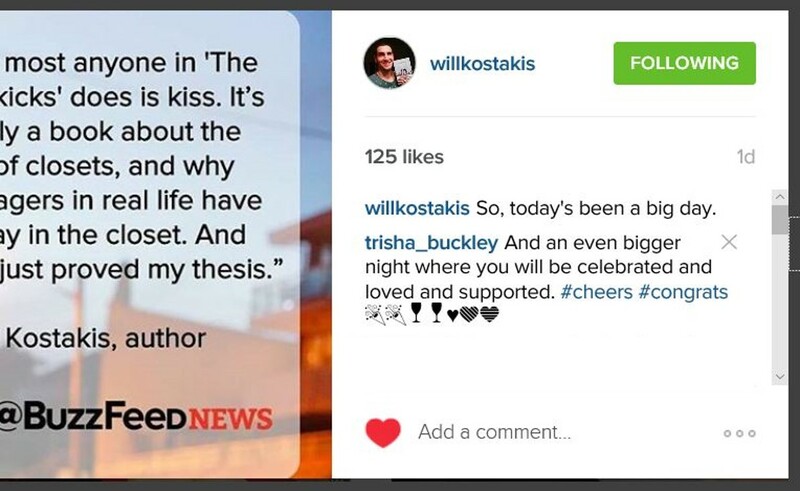 Great post, Trish! Modelling good digital citizenship for students. Would make a wonderful discussion starter. "I am simply a book drunkard."